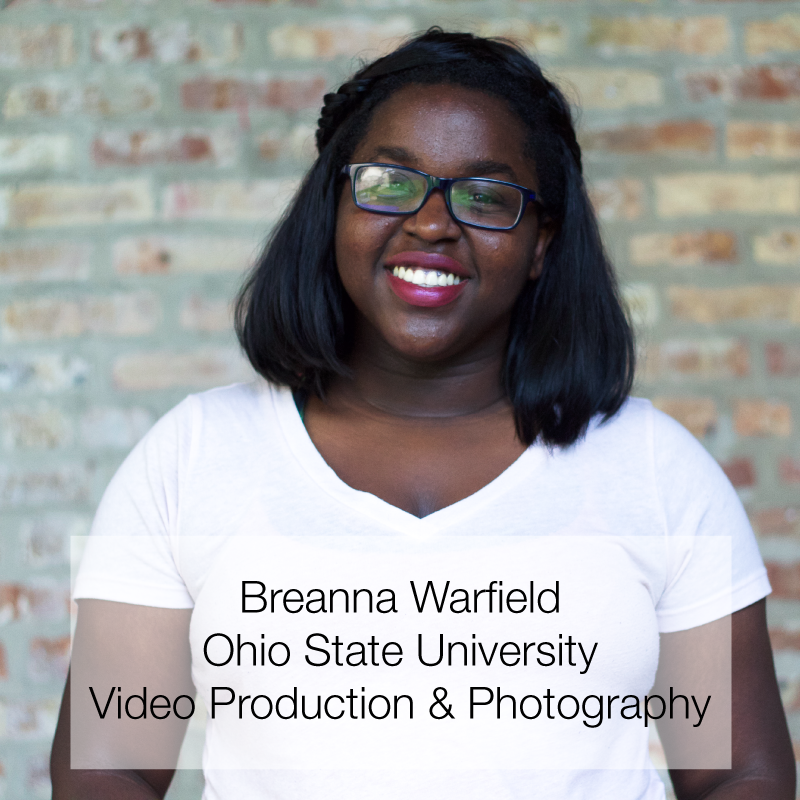 Breanna Warfield is a person of many passions. A sophomore from Dayton, Ohio, and a student at Ohio State University, there are many different fields that interest her. Bree is majoring in photography and film studies and minoring in video art, media production analysis and German. Bree would like to have a career in the post-production of films. She would also enjoy doing some photography work on the side. She saw joining Crossroads as a way to deepen her relationship with God and also use her creativity for her Creator. Bree sees her observation skills as being extremely beneficial to the Crossroads team. She also considers the fact that she is slightly younger than most of us to be a big help because she can stay relevant to incoming freshmen, which is a huge focus for the Cru ministry. Being a part of Crossroads has grown Bree in more than just the fact that she is improving her post-production skills. Bree is satisfied with the work that the Crossroads team has produced so far. She thinks the work and care with which we’ve approached all of our different projects has shown. Bree has worked on the intro videos for our weekly meetings, a viral video of one of our other interns and plans to work on a video that promotes Strategic Alliance, a Cru ministry. Overall, this experience has been very fulfilling for Bree. Bree has loved living in Chicago and experiencing city life with her friends. Since being here, she’s started learning ukulele and guitar with the help of one of her fellow Crossroads interns. She would be more than happy to recommend other students to join.